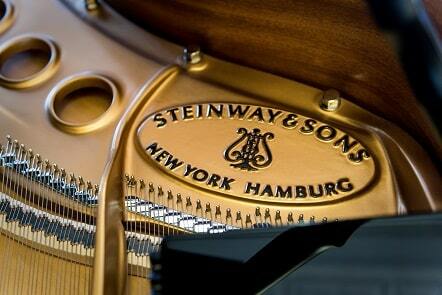 Steinway and Yamaha are the two heavyweights in the piano manufacturing business. Another piano brand that is often in the mix is Fazioli. 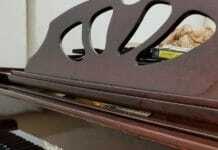 When it comes to comparing pianos it really comes down to personal taste. 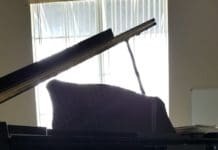 In this article, we’ll look at some of the key differences between Steinway and Fazioli so you can get a better idea of what each piano offers. Steinway has manufactured pianos longer than most piano brands existing in the world today. The company was founded in the early 1850s by Heinrich E. Steinway. The company produces pianos at it’s two main factories in Astoria, NY and in Germany. Steinway produces around 3000 pianos per year and also features a robust artists program with some of the worlds, top pianists. Along with Bosendorfer and Yamaha, Steinway is considered to be one of the biggest piano brands in the world. Steinway has taken things a step further though, known for its small concert halls, full inclusion in prestigious music schools, and Spirio pianos which are adding state of the art playback technology to modernize grand pianos in the home. Fazioli is a lesser known brand, and that might have to do with its short history. The company carries on an Italian tradition of piano making with all of its pianos being produced in house in Sacile, Italy. Paolo Fazioli began producing the pianos in the late 1970s, and founding the factory in 1981. Like Steinway, all Fazioli pianos are handcrafted, going through months of refinement, testing, regulation, and woodworking. The biggest difference though is that a Fazioli piano takes around 2 – 3 years to complete. At most, the company makes just under 140 piano every year. Compare that to Steinway who makes nearly 20 times that amount in the same span of time. Because of Paolo Faziolis woodworking expertise, many of these pianos feature some of the finest craftsmanship. The company began with just a few models; the F183 and F228. By 1982 there were four baby grand models available. This includes the F156 and F228 along with the other two. As of today, Fazioli has 6 concert grand models with the F278 and F308 being their biggest. Generally, most pianos are built the same. The same parts can be found in each such as the keys, pedals, fallboard, soundboard, and body. There are some subtle differences in the types of wood and metals used in Steinway and Fazioli though. The soundboard of Fazioli pianos is made with unique Red spruce in Italy. Compare that to Steinway which uses solid Sitka spruce which is known for its resonant ability. Steinway pianos are also built with 17 laminations of hard rock maple. They also use hard rock maple on the bridges. Fazioli pianos use maple on the inner and outer rim as well as a combination of maple and other wood for their bridges. The hinges on a Fazioli are made with gold while Steinway uses brass and nickel depending on the finish of the instrument. As far as pianists reaction to the instrument, Faziolis are highly regarded for their rich tone and feather-like touch. The best way to describe a Fazioli is perfectly balanced. The pianos are expertly crafted with elite precision. In general, Faziolis have nearly perfect regulation across all registers. The responsiveness of the action is impressive, with the dampers and hammers in perfect sync with one another. Fazioli pianos are amazingly consistent throughout, and it’s easy for a pianist to anticipate what it will do. In general, it’s very easy to play this piano because of how uniform the action is. The tone of the pianos are also very consistent but may be bright or brittle to some. In particular, the bass range has a lot of power and requires a different playing approach than you would take with a Steinway. Overall the tone of a Fazioli can be best described as clear, and free of any muddy harmonies. Compared to Steinways, the tone offers much more brightness, but not quite as much as you would find in a Yamaha piano. With Steinway pianos, there is a lot more room for colors and experimenting with different harmonies. Have a look at the video below to see how each piano sounds. If you were to play the two pianos side by side, one might find the Steinway to be a bit dull in the mid-range. Overall though, Steinway pianos produce more warmth, especially in the bass range where most pianists would prefer a more round tone. As far as the action of a Steinway, the top models all have the same iconic touch. In my personal experience with both pianos, I find that Steinways offer a more well-rounded sound. There is a lot of depth even on some of the models that are not top of the line. The different range of tones allows for a lot of versatility, so I find Steinway pianos work well for all kinds of repertoire. I have also found that Fazioli pianos have a more powerful tone which some pianists will absolutely love for certain types of repertoire. There is plenty of brilliance in the low and high ends of the instrument. While Fazioli and Steinway are both expensive to own, the asking price of Fazioli pianos is noticeably steeper. The lowest priced Fazioli piano is a whopping $128,000. This includes the F156 and F183 models. Both would be considered baby grands with the F156 measuring 5′ 2″, and the F183 more sizable at an even 6′. Comparing those prices to Steinways lowest priced grand, the Model S comes in around $65,000. Fazioli’s high-end models include the F228 and F278. The oversized F308 which measures over 10′ in length prices around $234,000! Compare that to a Steinway model D which averages around $180,000. One thing to note is that both piano brands have unique art case pianos, or engravements and special fittings and finishes. For example, a Steinway D with a lacquer finish costs only around $164,000. A Fazioli Brunei featuring precious stones runs at about $400,000. On the used market, both pianos brands do offer some significant savings. 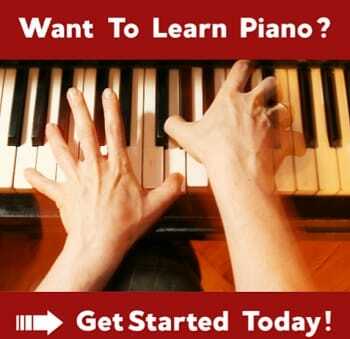 It’s very easy to pick up a used Steinway for a fraction of today’s new pianos. While used pianos are cheaper, the prices are still based on the MSRP of the newer pianos; especially in the case of Steinway. Every year the prices rise by around 4%. Which Is Better? Fazioli Or Steinway? Deciding between Fazioli or Steinway comes down to personal preference. Both piano brands make excellent instruments that lend to different types of pianists. While Steinway has been around for much longer, Fazioli pianos have quickly made a name for themselves on the market. This innovative approach to woodworking and research has contributed greatly to their emergence. In fact, many college institutions like Julliard are starting to move towards including Fazioli’s in their schools. 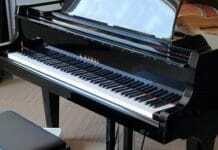 While Fazioli pianos are amazing, they are extremely expensive. In this instance, Steinway presents it’s the case as a more affordable piano that is widely regarded as the best piano in the world. To help make a decision you should test out the pianos in a showroom, concert hall, or music school. Take some time to play different size models from the Steinway D all the way to Fazioli’s 5’2″ baby grand. While I think that these are some of the best pianos available, Yamaha is also a reasonable choice if you are on a budget. Check out this comparison of Yamaha vs. Steinway here.